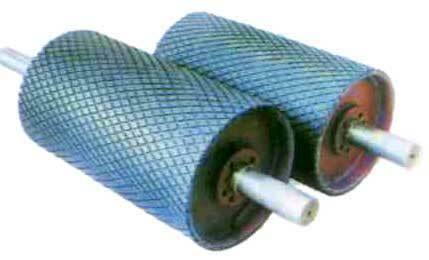 We are enlisted amongst the prime Bend Pulley Manufacturers and Exporters from India. The Conveyor Bend Pulley offered by us is used for changing the direction of the belt running or increasing the wrap angle between the conveyor belt and the driving pulley. Moreover, the South Bend Pulley is available in three categories i.e. light duty, medium duty and heavy duty, the shift of the diameter ranging 50~100 mm, 120~180 mm and 200~260 mm. The bend pulley is usually installed at the tail part or the vertical take-up equipment part when the belt direction need to 180Â°bending. It will be installed above the take-up equipment part while 90Â°bending .The pulley, which is used for extending the contact surface, is usually used for below or equal to 45 degree bending. The surface treatment of the bend pulley can be smooth steel and flat rubber lagging.